We’ve been in Colorado about three years now. Can you believe that? I can still hear the ocean waves lapping the sand. We do enjoy it here though. It’s beautiful and there is so much to do. One of the things I have come to love is all the local food companies that I have been introduced to. One of the first products was Bobo’s Bars. My brother grabbed a few when I was with him one day at the grocery during my first few weeks and said I would really like them. They have been a staple in my pantry ever since! This lucky girl was invited to Bobo’s Bars headquarters here in Boulder. Not only is it where the staff hangs out, but it is where they hand make every single bar and ship all over the country! I say handmade because most of it is! 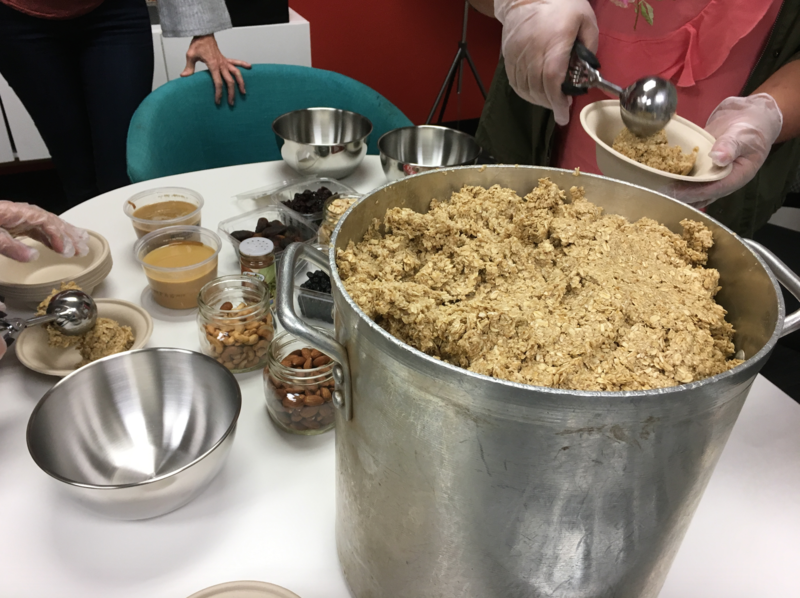 All ingredients are personally poured in a bowl and placed on the giant electric mixer. After a machine helps sort it into the bake pans, the workers hand pack it down. Each and every single bar! The huge ovens bake them up and after cooled, another employee takes each bar out to make sure they are perfect and gets them ready to package. 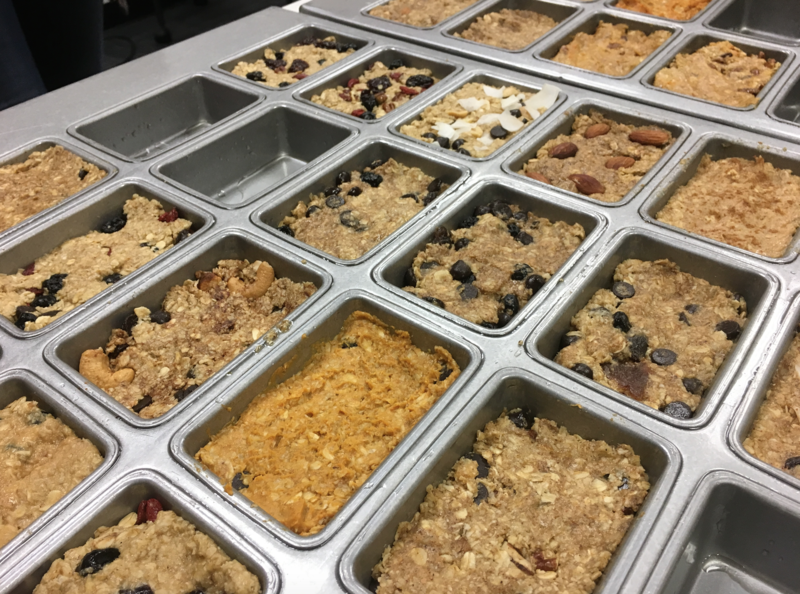 The original Bobo’s Bars was made with just 4 simple ingredients. Today they have added a ton of flavors and even have nut butter filled bars which are so yummy! Lemon Poppyseed (#1 love!). It takes just like a loaf of lemon poppyseed bread. Maple Pecan. This is what they were making when I went through the factory line and boy did it smell awesome! Guess what? I got to make my own Bobo’s Bar! It was SO fun! 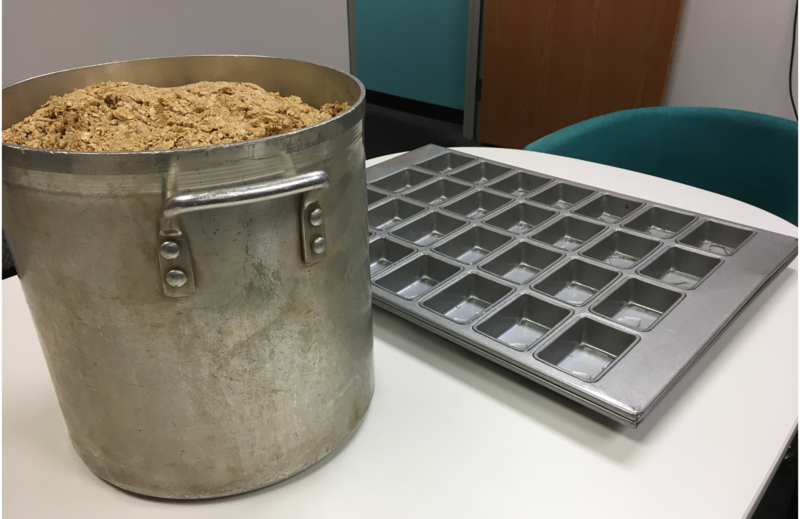 Beryl – the founder who is still working in the local office – bought a pan just like this when she first started and then had to order thousands more to keep her going. We started with the 4 ingredient Original Bar then added whatever mixes we wanted. I had to put chocolate chips in all of mine of course. The second from the bottom is my row. I couldn’t wait to eat it! I know you now want to EatBobos.com too – a women owned business – check it out! 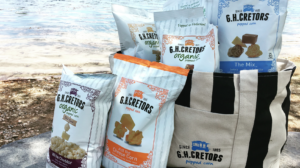 Find them locally at Sprouts. They really are made with Love right here in Boulder. WIN 2 boxes of your favorite flavors from Bobo’s! I partnered with Sprouts and Bobo’s Bars for this sponsored post. All opinions are my own. This giveaway will end on Oct. 16, 2017 at midnight MST. Winners will be drawn via rafflecopter. Once a winner is drawn I will contact them and they will have 48 hours to reply before I draw a new winner. Giveaway is open to anyone in the US. You must be 18 years of age or older. Giveaway is not affiliated with Facebook & I release them of liability. Winner will be posted in the rafflecopter widget. Never tried them but boy oh boy do they look tasty!!! Yum yum yum! The maple pecan flavor sounds good to me! I have not tried Bobo's bars. Lemon poppyseed yum! I have never tried Bobos bars yet but the peach looks really yummy! I haven't tried them, but they look great. I have not yet tried Bobo's Bars. The Chocolate Chip variety sounds great. I haven't tried them yet. Peanut Butter. I haven't tried them yet, but I would love to have a lemon poppy seed bar. I adore lemon poppy seed everything! I've never tried Bobo's Bars. The flavors sound delicious. I'd like to try the Maple Pecan first. Thank you! I'm a self described bar aficionado & theses little buggers have eluded me so far. Coconut Almond Chocolate Chip sounds near perfect tho. I haven't tried Bobo's Bars yet, all the flavors sound yummy especially the Coconut Almond Chocolate Chip. I have not tried these bars. Almond Butter sounds delicious. I haven’t tried these, but the apple pie and the maple pecan sounds great. I've never tried them, but that Lemon Poppyseed flavor sure looks good! Well I think they all look fabulous! I wish I had one of those pans they are baking them in, that would be awesome! I am curious how the Peanut Butter & Jelly tastes. I have not tried these bars yet but the maple pecan sounds really good. Not only have I never tried them, I hadn't heard of them till this post. The maple pecan sound like they would be great! No, I haven't tried Bobo's Bars yet. However, I would like to try the Almond Butter flavored bar. Haven't tried Bobo's yet, the Maple Pecan and the Cinnamon Raisin sound good. I haven't tried them, but peanut butter and jelly sure sounds good. I have not tried Bobos yet. I would like to start with the Lemon Poppyseed. I haven't tried them yet but gingerbread sounds wonderful. My son would like all of the flavors I think. I haven’t tried these before. I would love to try the gingerbread! I haven't tried them but I know I would enjoy the Coconut Almond Chocolate Chip flavor. I haven't tried them yet, but they look really awesome. I'm really looking forward to trying their Peanut Butter & Jelly bar! I love the Peanut Butter Bobo's. Did not know there are so many new flavors available! Can't wait to try Gingerbread! I haven't tried them yet, but they look awesome. I'd like to try the Coconut Almond Chocolate Chip. I never heard of these but I would like to try the Lemon Poppyseed. I have never heard of them but they look good! I think I would like the Coconut Almond Chocolate Chip. I say the Lemon Poppyseed and Chocolate Chip ones look yummy. I've never heard of Bobos but the Maple Pecan has me drooling just thinking about it! I have seen bobo bar's at whole foods but I have never tried it before. My friend is a fan though! I would love to try the peanut butter & jelly flavor! I haven't tried them, but the pb&j flavor calls out to me! I have never tried them, but I would like to try the peanut butter and jelly bars. When I am lucky enough to win food and snack items it makes me happier than anything else I win. It is like a christmas box being delivered to your door full of goodies and surprises. I hadn't heard of these before reading your post. It looks like you had a fun opportunity when you visited Bobo's. In regards to living in Colorado, the time really does go by quickly. I think we get so busy with our children that time passes by quicker than we even think possible. I haven't tried them before. The Coconut, Almond, Chocolate Chip sounds good to me. These do look scrumptious and healthy! I love almond butter so the first one I'd go for is Almond Butter!!! I haven't tried them or seen them before! I'd love to try the chocolate chip, peanut butter and peach! I haven't tried them yet. The Chocolate Chip one looks especially good, but they all look good! I live in Georgia, & I am so curious to try the Peach-flavored bars! I've never tried Bobos, but they sound good. The Lemon Poppyseed and Coconut Almond Chocolate Chip sound amazing! I love their recipe for S’More Bobo’s Bake made with Bobo’s Coconut Almond Chocolate Chip oat bars! Wow! I have never tried these before but the Peanut Butter & Jelly sounds good. Would absolutely love to try these! right up my alley.. I have not tried Bobo's Bars although I see them in Whole Foods. I usually go for the bars that have higher protein. We have not tried these before. For me, I love lemon poppyseed muffins so I'd try the Lemon Poppyseed flavor for sure! I have not had these before. I'd like to try gingerbread. I've never tried them or even heard of them. The Lemon Poppyseed flavor sounds good. No, I have not tried these yet; but I would like to try the coconut. I have not tried these yet, but I can't wait to try them! The Peanut Butter sounds the best to me!! I haven't tried the bars but I really want to try the peanut butter & jelly bar. I actually haven't heard of these until now but very interested in trying them! I have never tried Bobo's Bars. They do look delicious and so many kinds. The Bobos bars are new to me, They look yummy. I have not tried Bobos bars. Almond butter sounds good. Never tried before and the coconut is calling my name through this computer screen.. oh boy! No, I have not tried Bobos bars yet, the Lemon caught my eye. 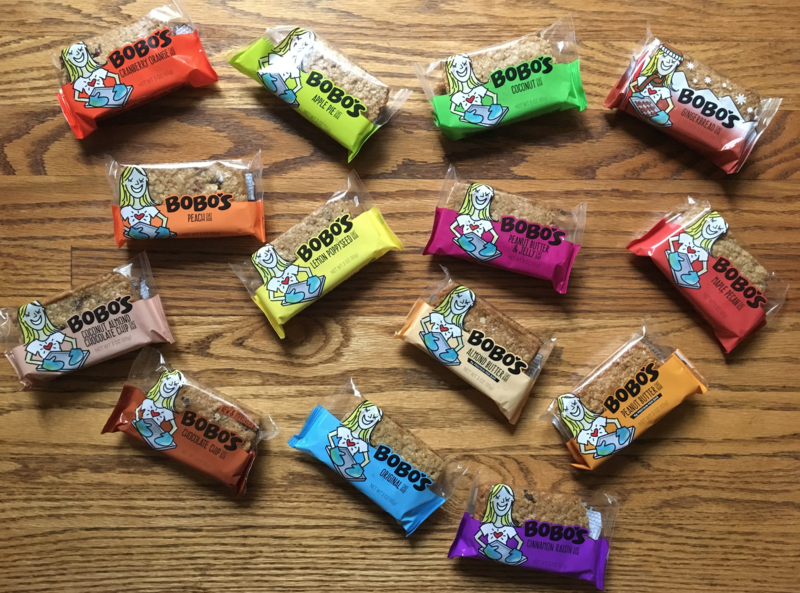 I have not tried Bobos bars yet but I would love to try the peanut butter and cinnamon raisin flavor! I haven`t tried them, yet. The Coconut Almond Chocolate Chip sounds wonderful!! I haven't tried Bobo's Bars. Apple Pie, Cranberry Orange, Lemon Poppyseed, and Maple Pecan sound especially good! I've never heard of them. If it has PB and chocolate, I'm in! I have never had Bobo Bars but would like to try them. I think Cinnamon Raisin looks especially good. Thank you for the chance to win. I have not tried it, but would love to try Lemon Poppyseed. I haven't tried these, but the peach looks tasty. I haven't tried them but I would love to! chocolate chip sonds good ty .i havent tried them . I haven't tried these yet. But, I would love to and I like their flavor selection. I'm not familiar with this brand. I'd love to try the Lemon Poppyseed, the Coconut, and the Cranberry Orange first. Thanks. Their "Coconut Almond Chocolate Chip" sounds wonderful! As does the Poppyseed. Yum! Thanks and God Bless! I tried the Apple pie one it was good! Not yet but I would love to try poppy seed! These sound pretty delicious. I'd like to try the Almond Butter flavor. I have not heard of these bars before, but the lemon poppyseed and the coconut sound delicious! They all look delicious. I’d love to try lemon poppeyseed or the almond chocolate chip. I definitely have a sweet tooth. the almond butter flavor looks good. I have not tried the Bobo's Bars yet but the flavors do look good. I think I would like to try the Coconut Almond Chocolate Chip first. I have never tried Bobo's Bars and until now had never heard of them but now I may try them. I haven't tried them yet. The chocolate chip variety sounds good to me. Never tried these but the lemon poppyseed looks delicious. I've never tried these before, but they look delicious, I'd honestly like to try them all. I have not tried them . Maple Pecan sounds so good love to try them all. I have tried the original Bobo oat bar. It was delish, but could not find in a local grocer. I was visiting my daughter. Would love to try their Maple Pecan, Lemon Poppyseed, Almond Butter, and Coconut almond choc chip! The Ginger one sounds delish also! I've not tried these, but I want to try them. The peanut butter ones sound delicious. I haven't tried these yet, but would like to try out the Coconut Almond Chocolate Chip. I never heard of these but chocolate chip sounds really yummy. I haven't tried them. Lemon Poppy Seed sounds great. I haven't tried Bobo's Bars yet.